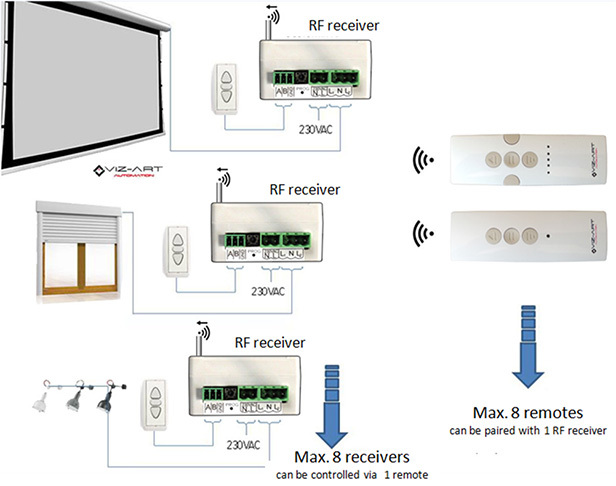 RF radio remote control. 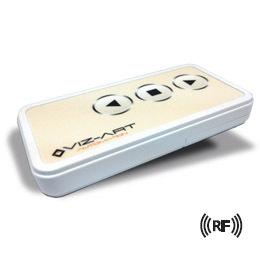 After button is pressed remote sends RF control code, confirmed with sound and LED diode signals. 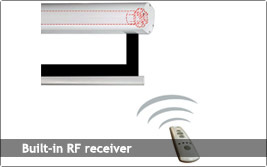 Range up to 30 meters. 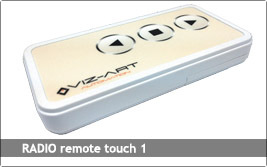 RADIO REMOTE TOUCH 1 is RF receiver compatible.